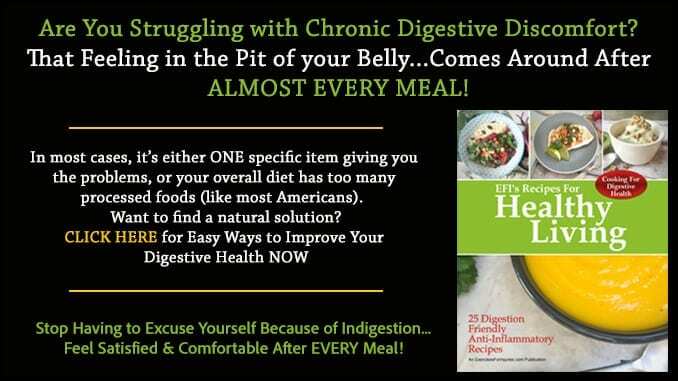 Digestive problems are among the most common — and bothersome — health issues. If you suffer from intestinal symptoms, you know how much it can interfere with your daily routine. In this article, we’ll look at some natural ways to heal your digestive system. Plus, we’ll discover how your digestive system influences your entire body. Your intestines contain hundreds, if not thousands, of species of bacteria and other microorganisms. Collectively these organisms are called your gut flora. Because the number of cells involved is so large, some even consider the gut flora another human organ. These cells participate in very important bodily functions. For example, about 90 percent of your body’s serotonin is located in the gut. Serotonin is largely responsible for regulating intestinal movement. Serotonin also plays a role in a wide variety of diseases. For example, serotonin imbalance could lead to mood disorders, irritable bowel syndrome, arthritis, organ development problems, and perhaps even heart valve disease. It’s not a stretch to say that your gut affects every organ system in your body. Because probiotics play such an important role in gut health, we’ll take an extra close look at the topic before moving onto other natural digestive cures. There’s some confusion around the word “probiotic.” For some, it means the natural bacteria that live in your intestines. For others, it’s a supplement that contains gut-healing bacteria. In a sense, both are right. For example, lactobacillus is one of the most common probiotics. It’s found in your gut naturally and in probiotic supplements. With the modernization of the food industry, several factors have led to the decline of probiotics. This includes treatments like soaking food in chlorine, pesticides and widespread antibiotic use. By changing the food bacteria environment, it affects our natural gut bacteria ecosystem as well. 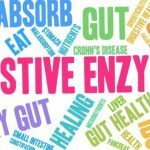 One way to improve digestive health naturally is to avoid these negative influencers as much as possible. Continued research is looking into the possibility that probiotics might even treat respiratory infections, cancer, kidney disease, gum disease, acne, high cholesterol and obesity. You can get probiotics from a variety of sources. Some of the most natural sources are fermented foods like apple cider vinegar (1 to 2 tablespoons per day). Even though these foods contain some bacteria, they also change the pH of your intestines. This creates a healthy environment for natural gut flora growth. Sauerkraut and kimchi may not be at the top of your food list now but, for intestinal health, these dishes are fantastic. Dairy foods often come with probiotics added. For example, yogurt, goat milk yogurt and kefir are all terrific choices. Make sure the food source says that it’s probiotic rich to get the maximum benefit. Raw, unpasteurized cheeses are also excellent sources of probiotics. Fiber also helps but not because it contains probiotics. It turns out that bacteria like fiber as food. Soluble fibers are especially beneficial for gut flora so try foods like chia seeds, flax seeds, potatoes and sweet potatoes. These sources of fiber are fermentable, which makes for a favorable pH in your intestines, just like the fermented foods mentioned earlier. Your intestines are lined with special cells that work to absorb nutrients from food. In between the cells, there are junctions that can be damaged. When this happens, you might suffer from leaky gut syndrome. Many of the problems of this condition stem from unwanted substances slipping through the weakened cell junctions. 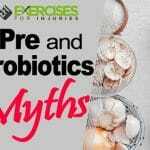 Probiotics do wonders for treating leaky gut, so all the earlier advice applies. You might also consider avoiding aspirin and nonsteroidal anti-inflammatory drugs (NSAIDs) like ibuprofen. Finally, any kind of stress reduction goes a long way towards gut healing. Ginger has been used for medicinal purposes for centuries. The ginger root is grown in China, India, Africa, the Caribbean and many other warm locations. For nausea and upset stomach, ginger tea works wonders. Ginger has even been shown to help up to 60 percent of women who take it for painful periods. Now, before you start taking ginger to treat diabetes, you should know that the benefits of ginger are modest. Ginger in no way replaces treatment recommended by a health professional. Still, you never know, a daily dose of ginger might help lower your blood sugar enough to cut back on medication. Heartburn is one of the most common digestive symptoms, and it is caused by acid washing up from the stomach into the esophagus. The medical name for this problem is gastroesophageal reflux disease or GERD. Before you do anything, if you take medication, make sure none of them causes GERD. 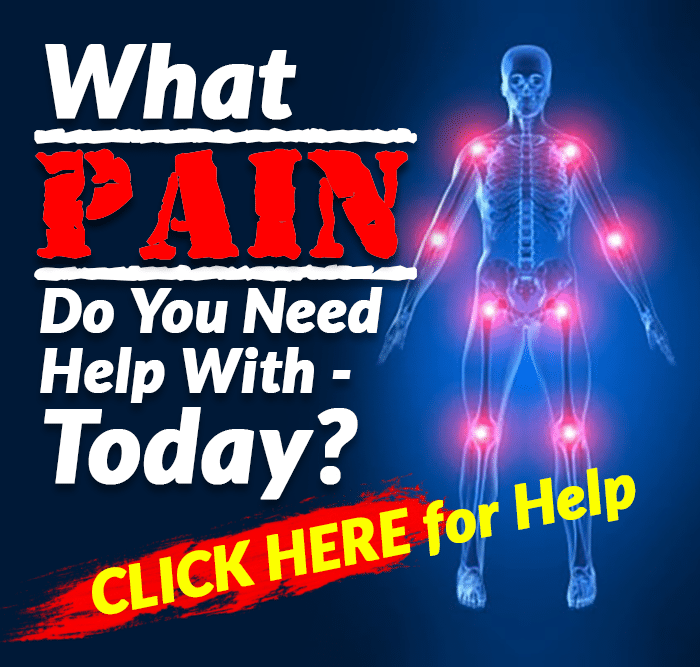 Removing or replacing the medication may be all you need. Many people think that GERD is caused by too much acid in the stomach. The real problem is that the acid goes up into your esophagus where it doesn’t belong. In fact, you can have normal or low levels of stomach acid and still have GERD. Still, if you have persistent symptoms, severe pain, trouble swallowing or significant pain at night, you should see your doctor. Untreated GERD may eventually lead to a precancerous condition in the lower esophagus. 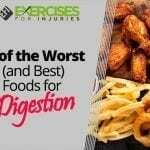 The scope of this article can’t address all the causes and cures for diarrhea and constipation. Still, we can offer some quick tips that might help if you suffer from these symptoms. As always, if symptoms persist, consult with a health care professional. For diarrhea, avoid any fruit juice and stick to water instead. Check if any medications you are taking might cause diarrhea. Also, avoid sugar-free foods. Sugar supplements like sorbitol may make symptoms worse. Skip the coffee and carbonated drinks as well. Try cheese or yogurt with — you guessed it — probiotics. For constipation, plenty of water is your best bet. Again, check if any medications you’re taking cause constipation. Fruits, vegetables and plenty of fiber may help. Avoid sugar and consider sugarless gum. As mentioned, sorbitol may help move your bowels, but this is not a long-term solution. Rectal glycerin suppositories might be helpful as well. Probiotics can help constipation too. Whenever you workout, your gut is stimulated to move and work naturally. Plus, exercise relieves stress which can contribute to GERD, irritable bowel, leaky gut and many other disorders. If you keep your weight down, this alone can relieve GERD symptoms completely in some cases. Finally, if you suffer from chronic constipation, exercise often helps significantly. Your gut exposes your entire body to the outside world. You have to eat, so the risk is unavoidable. Still, if you take the right steps, you can have a healthy gut which helps maintain your overall health. You are what you eat. 3 Exercises for TIGHT Hip Flexors & Back Pain in 5 Minutes!